Welcome to URISA's Central Appalachian Chapter! 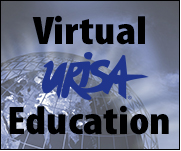 URISA - The Association for GIS Professionals - is a leading provider of learning and knowledge for the GIS community. URISA connects great ideas and great people to inspire leadership and achievement. We strive to provide exceptional educational experiences, a vibrant and connected community, and the essential resources you need to be successful in your career. URISA is a multidisciplinary association where professionals from all parts of the spatial data community come together to share concerns and ideas. URISA -CAC is a regional chapter of URISA International, providing a cooperative environment of geospatial professionals, users, and students to communicate and advance, as a unified group, the status and level of effectiveness of GIS use in the Central Appalachian region. PLEASE TAKE A SECOND TO FILL OUT OUR SURVEY! !